“The Buenos Aires Guest House offers a seriously smart alternative to those ‘pub-with-rooms’ properties”. Hotels in the actual town of Battle are few and far between, so we’ve had to extend our remit here to include this highly recommended guest house in Bexhill on sea – just five miles down the road. Attracting regular rave reviews from various online travel sites and earner of several stars and awards, the Buenos Aires Guest House offers a seriously smart alternative to those ‘pub-with-rooms’ properties. Breakfasts are a devoted and creative affair with a delightful buffet table that includes everything from cereals and yoghurts to hot orders like smoked haddock and eggs benedict . Vegetarians are also well catered for. A Four-Poster bedrooms is available for romantic breaks. 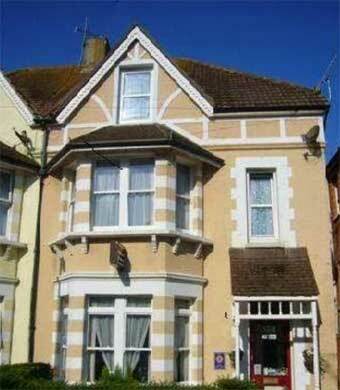 The guest house is just a few minutes walk from Bexhill train station and wi-fi is provided FREE of charge. Kids under 3 stay free of charge. Twin, double, family and King-Sized bedrooms available. Egerton Park, Bexhill Museum dinosaur bones, fossils, natural history and Bexhill seafront practically next-door. Winner of several Visit Britain awards.